Previous post: By order of the remaining heirs. Next post: The reason people in America keep guns. The bank is a condition of tilted wings, and the turn is the change in the direction which results. The connection between the two is inexorable: The airplane must bank to turn, and when it is banked it must turn…The miraculous part of the maneuver is that the turn has an important balancing effect on the bank that causes it. The same effect, in cruder form, steadies cars on banked roadways, and bobsleds on the vertical walls of icy tracks. The difference in airplanes is that as the bank angle increases, the turn also quickens and by doing so automatically delivers a balance that is perfect. Bicycles react similarly: When they start to topple, they turn and thereby keep themselves up. Airplanes are even steadier. They operate in three-dimensional space and do not rely on tires to keep from sliding to the side They will never capsize no matter how steeply they are banked. The first detailed account of the Wrights’ success appeared not in the New York Times or the Scientific American, but in Gleanings in Bee Culture, a little magazine for beekeepers published in Medina, Ohio. I refuse to turn away from the thought that the airplane’s lights illuminated the ocean’s surface at the last instant that the surface appeared to surge at the airplane from somewhere above, and that the flight engineer flinched as the water exploded through the cockpit. It does not help to be polite about these details. The tangible consequence of any serious failure in flight can be just such an unstoppable insider’s view. I think all good pilots are unflinching realists. Langiwiesche the pilot tests his skills by flying through storms. On purpose. The secret of good storm flying is to stay low, in slow and vulnerable airplanes, and to resist the pursuit of performance. By the standards of practical transportation, therefore, it is an artificial problem. Mother weather lies within the first 20,000 feet of the ground, where gravity compresses the atmospheric mass into a dense soup, and above which the airlines for economic reasons as well as safety and comfort must climb and cruise. Engineers have designed away the storms, leaving professional pilots to fret about the kind of unimportant turbulence that startles their most anxious passengers. That is the allure of storm flying. There is no graduation from the experience, only an end to each flight. The techniques we practice involve a certain calmness under pressure. Good for Langewiesche (and Sullenberger, who spent his off-time flying gliders). I’m happy at 39,000 feet, myself, at least in the big planes where I don’t know the pilots. Pity the forecasters. Of all the sciences, theirs is the most public. Here is a short version of its evolution. Emergence from the sea came first, followed by speech, followed by talk about the weather. Then came sacrificial rites, followed by the idea that peasants might pay a tithe to priests to keep the sky in order. Aristotle…wrote Meteorologica, the first unified weather theory, around 340 BC. Two thousand years later Rene Descartes doubted his methods and applied new rigor to the ignoring of God…Credit Galileo with the thermometer, his student Torricelli with the barometer, and French intellectuals in general with the discovery that atmospheric pressure rises and falls with weather and altitude. Acknowledge various Europeans for their wind and humidity instruments, for their discoveries in physics, then jump to the mid-1800s, to places like Ohio, where the telegraph suddenly allowed news about the weather to travel faster than the weather itself. I am reminded of Doris Kearns Godwin’s Team of Rivals, where Lincoln has hired all the men who ran against him for office, all of whom are doing their level best to stick it to him in one way or another. He would have been well justified in blasting the hair back on any or all of them, but the only man in his administration he looses his temper with is…the Army meteorologist. The resulting complications are measure in wasted fuel, money, and time — but not in lives lost or even in levels of danger. Reassuring. Inside the Sky ends with a chapter on the 1996 Valujet crash in Florida, a calm examination of the cascading series of errors that cause it. The law of unintended consequences rules. Flight’s greatest gift is to let us look around, and when we do we discover that the world is larger than we have been told and that our wings have helped to make it so. I’m an Alaskan, born and bred. I like to say I was on a plane before I was in a car, which is an exaggeration but not by much. Flying is basic transportation to Alaskans. I was raised in Seldovia, a tiny village on the south shore of Kachemak Bay. There is no road. This forced familiarity with flight can lead non-pilots to regard small planes as nothing more than taxies. This book shows us otherwise. 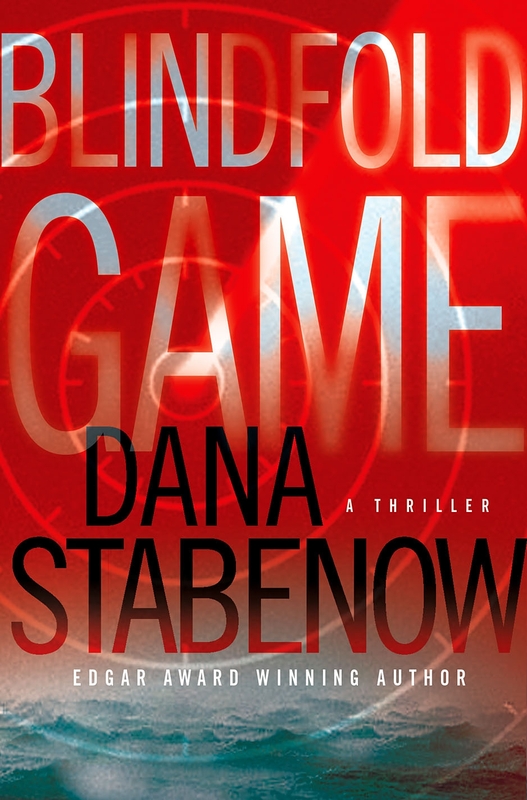 Alert readers will recognize Langewiesche’s name from the acknowledgements page of Blindfold Game. His The Outlaw Sea greatly informed the plot of my novel. This past year we had a student from an Alaskan bush village live with us while he studied aviation maintenance at a local university. Our family learned more about what it takes to keep planes in the sky than we ever dreamed. Thankful for conscientious mechanics, air traffic controllers, and the pilots. Yes. My husband is a private pilot, and we’ve flown our Piper Cherokee (four-seater) from New York to Alaska twice. I have learned more about aviation just by being the right-seater than I ever imagined I would know. Most people have no idea of even the most basic facts about aviation. He was most impressed, I think, by the fact that the author is not a pilot! I have to admit that it took me a while to find a pilot who said I could put a Herc into a flat spin.